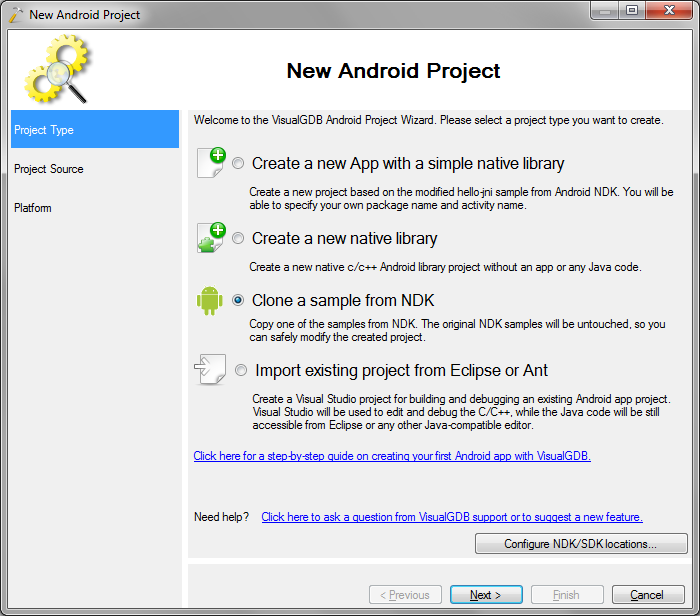 This quickstart guide shows how to build and debug a simple Android App with a native library. 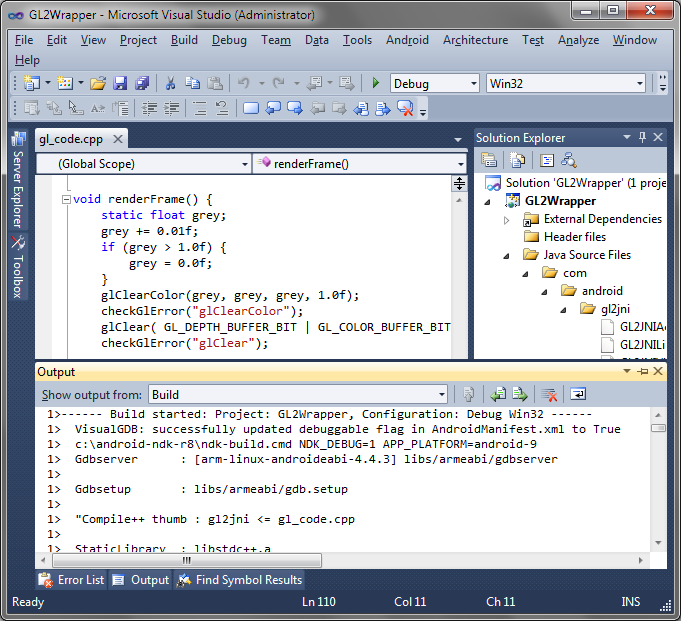 Start Visual Studio. 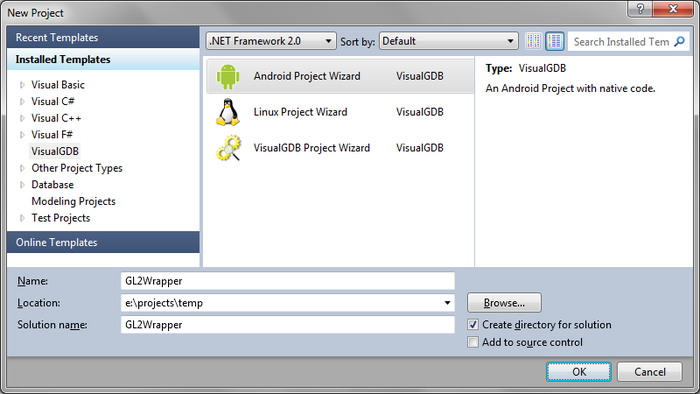 Select File->New project->VisualGDB->Android Project Wizard. Select the directory for the project, enter a project name (e.g. 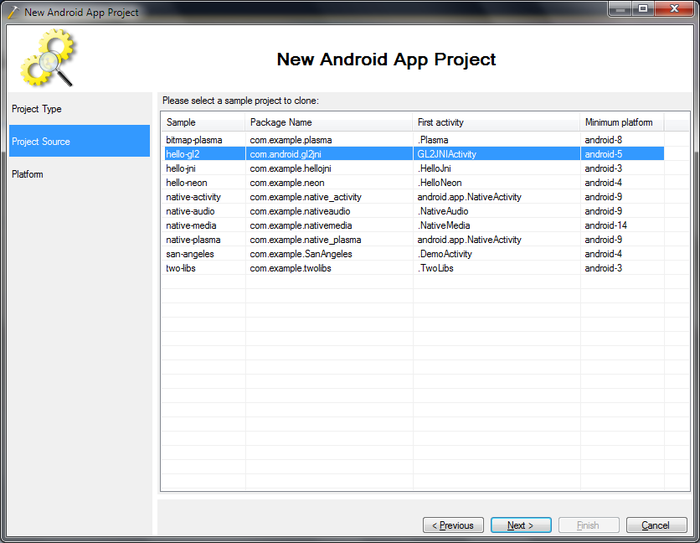 GL2Wrapper) and press OK.
Plug in your Android Device. 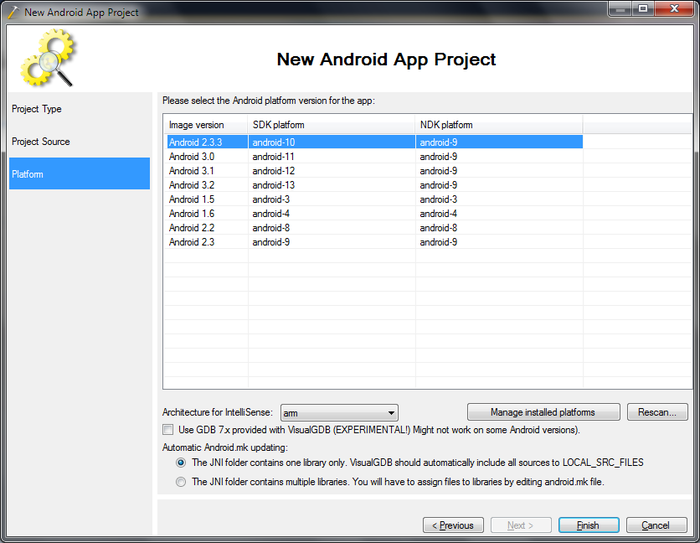 Do not use the Android emulator as it does not support OpenGL. Enable USB debugging and install the USB driver if needed. See this guide for more details. Put a breakpoint on the line containing the glClearColor() call inside the renderFrame() function. 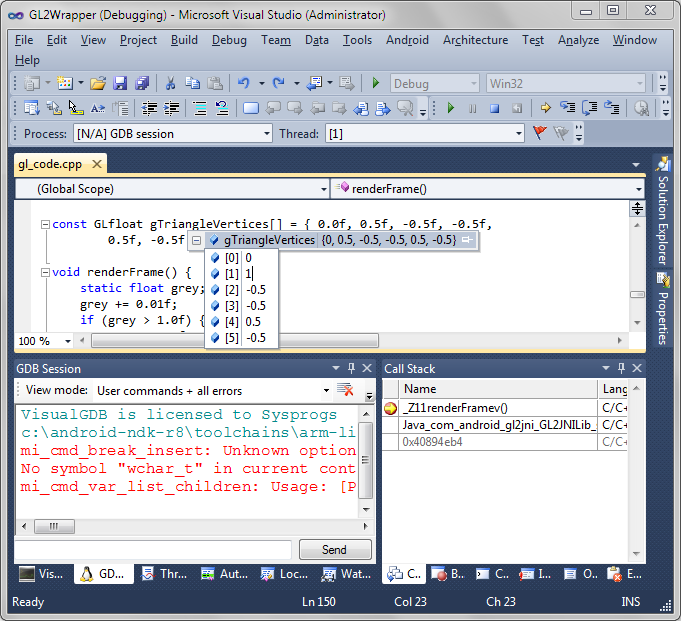 Start debugging by selecting Debug -> Start Debugging with GDB in VIsual Studio. 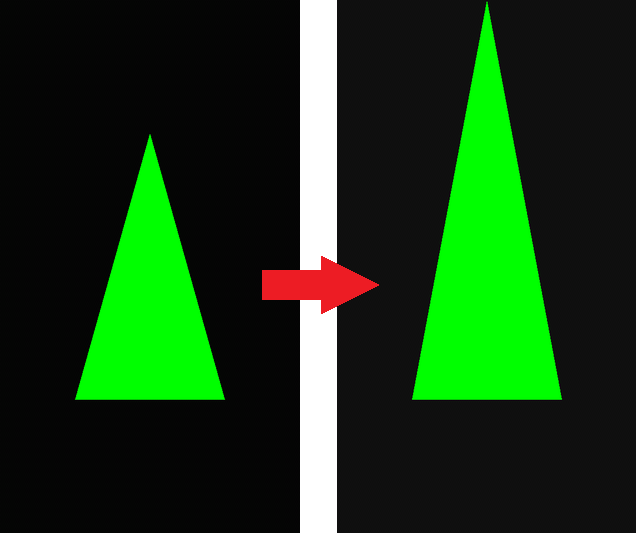 Hover the mouse over the glTriangleVertices definition above renderFrame(). Then click on the “+” symbol. 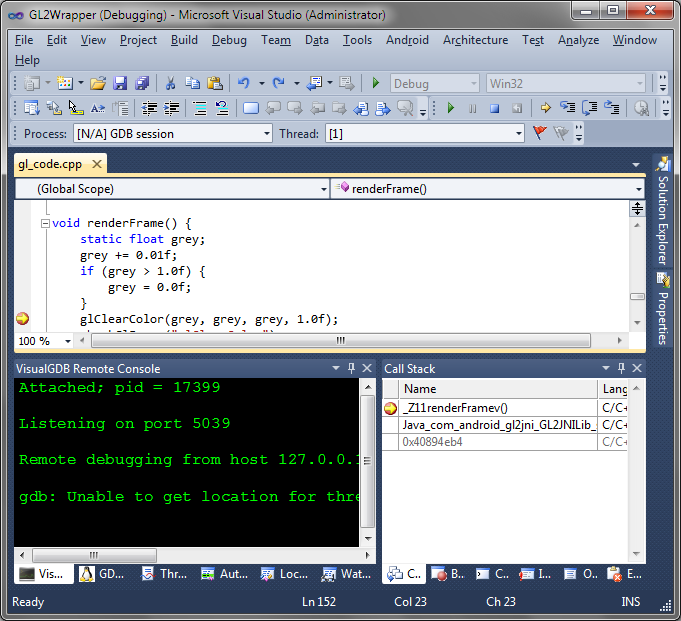 Finally, click on the “0.5” value so that Visual Studio starts editing it. Remove the breakpoint and press F5 to continue running the App. When done, press Shift+F5 to stop the debugging session.